Andrew Goldman is Professor of History with Gonzaga University. He received his degrees from Wesleyan University and the University of North Carolina, Chapel Hill (M.A. and Ph.D. in Classical Archaeology), and his research interests include Roman Anatolia, the Roman military, and Roman pottery. Professor Goldman has worked at many sites throughout Turkey, including Çatal Höyük, and since 1992 he has been working at the ancient site of Gordion; the finds at Gordion are some of the earliest Roman military equipment excavated in the Roman East, and the site is the only Roman military base of its period to ever have been explored in Turkey. 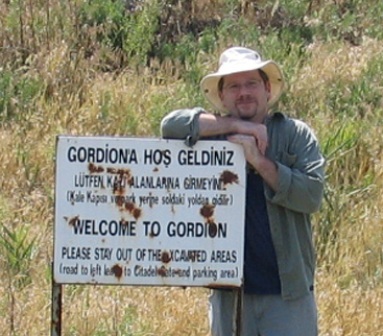 Professor Goldman is also Field Director for the Sinop Archaeological Research Project in Turkey. Current publication projects include Roman Gordion (in preparation, to be published as part of the Gordion Monograph Series, University of Pennsylvania Museum).